I am obviously fascinated by historical dialects and historical language in general. How did the founding fathers speak? How about Lincoln? What did a Mississippi twang sound like in the Antebellum South? Did the Puritans sound like modern East Anglians? When Congressman Ashley frets that the amendment is “absolutely guaranteed” to lose, he’s speaking in the language of late 19th-century newspaper advertisements, not mid-century politics. I’m not sure what Schmidt is getting at here, but “absolutely guaranteed” was clearly used in government documents spanning the 19th Century. But even if it weren’t, it would be less an “anachronism” than a run-of-the-mill noun phrase. Same goes for priggish language: Almost no printed books use George Pendleton’s phrase “highly unusual” until 1900 or so. But there are any number of examples of the term being used in texts before the Civil War (such as this one). Again, Schmidt’s gripe is so easy to prove wrong that I have to believe he’s attempting to express something that I’m not grasping. “Peace talks,” [Screenwriter Tony Kushner’s] favorite, was used widely to describe negotiations involving the IRA and the PLO, but doesn’t seem to have much history before Vietnam. Peace is determined on and concluded by the head chief and his councilors, and “peace talks” are always addressed to them. In some cases, when the resentment of the warriors runs high, the chief and his counsellors have been much embarrassed. Take what I’ve said here with a grain salt: several of these texts are British, not American, and I’m not debating that some of these terms may have been infrequent back in the 1860s. But therein lies the problem. If you are going to criticize the “anachronisms” of a work of historical fiction, they should be actual anachronisms, not simply language that was “uncommon.” A dramatist of Tony Kushner’s talent, after all, is not in the business of writing “everyday” dialogue. This entry was posted in American English and tagged dialects in film, words. Bookmark the permalink. I guess that by Schmidt’s logic the entire movie was an anachronism, since it was “unusual” for a President to lead the nation in a Civil War and free the slaves! 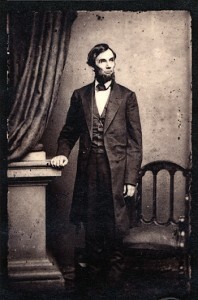 As yet another Ben on the “Lincoln” anachronisms beat, I’d recommend you check out Ben Schmidt’s Prochronisms blog, particularly the FAQ post in which he addresses some relevant concerns. Thanks, Ben! I’ve long been fascinated by Kushner’s process, especially when it comes to language. It’s wonderful that you got the opportunity to speak to him about it! Thanks to Ben Z. for pointing me to this and linking to that FAQ I wrote: I put that up because I know the sort of thing I call an anachronism is maybe possible, but extremely unlikely, and that not everyone agrees with that. My basic schtick is that we can learn a lot more about how language changes by thinking about word frequencies than by assuming a word simply exists, or doesn’t. So the first step is to see if they’re “infrequent” or not, as you say. Individual words and phrases tend to shift dramatically in usage frequencies: and that these massive increases in popularity are usually connected to shifts in meaning. I think the bit in the piece about how only one soldier drafted from 1863-1865 was named “Kevin,” because I think it captures the dilemma nicely. Is it anachronistic to name a soldier “Kevin” in a Civil War movie? Can we say Kushner is “using 20th century names” by using it, or was it just an “uncommon” name at the time? I think it’s obvious what’s going on there: he’s just trying to throw out the signal that a character is Irish, and mistakenly assumes Irish-Americans have always had the same sort of names. I’d like to say that it is an anachronism, and would be even if there were 10 or 50 Kevins in the Union Army instead of 1. But if someone wants to say “no, that’s obviously not an anachronism—it happened once!” that seems perfectly logical to me, too, just a little doctrinaire. I think anachronism is more a spectrum than a binary: if there had actually been 0 Kevins instead of 1 in the 1860s, I don’t think it would change anything. Whether a soldier named Kevin was “extremely unlikely,” “unheard of,” or “impossible,” it would still be a piece of the present uneasily trying to fit in with the past. Same with the language. I completely agree with you that “anachronisms” are as much a matter of context and semantics as words themselves. A 19th-Century sailor and a 21st-Century surfer might stand on the same beach and speak of the same “awesome waves,” yet express two entirely different sentiments. Both are “impressed” by what they see, but the implicatures of fear vs. delight are vital to their respective meanings. What I missed in your original post were some of these contextual distinctions. For instance, you took issue with Mary Todd’s use of “overseas,” although Google NGram suggests the term enjoyed wasn’t quite unheard of in the 19th-Century (albeit spelled “over seas” or “over-seas”). Far from dismissing your point outright, I felt there were some unanswered questions: are you employing specific restrictions on the term that I’m missing (e.g. using it adjectivally, as in “an overseas adventure?”) Are we going off the strict orthography of “overseas?” Is there a specific “frequency cut off” at which point we deem a term too rare to be believable? When I expressed my “bafflement,” then, I didn’t intend to suggest any scholarly chicanery on your part. I simply felt that there were many nuances of context, semantics and frequency that I didn’t immediately get from reading the article. I am aware that this the pot calling the kettle black, by the way: I should know more than anyone how hard it can be to condense several paragraphs worth of explanation into a sentence or two! My quibbles aside, I have the utmost respect for your work, and it’s given me more to think about than just about anything I’ve read online this year. Kevin is not a 20th century firstname. It’s the angliscation of the Irish Caoimhín which has been around in one form or another since the Old Irish period (500-1000AD). If I search the US census of 1860 I see plenty of men with combination of Kevin (or Keven) as a first name and an Irish surname. Likewise if I do a search through US military records for the Civil war period.